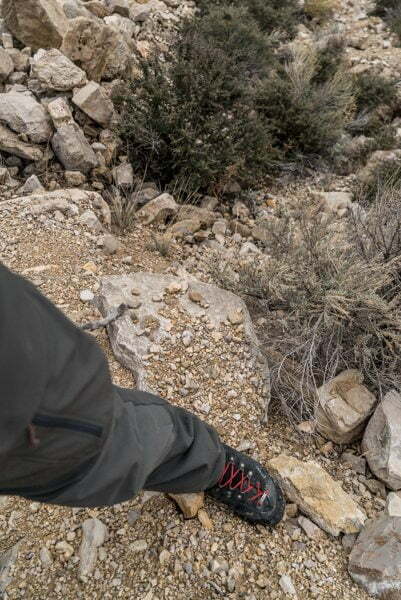 In my opinion, good boots are one of the most important pieces of gear you will have in the backcountry. 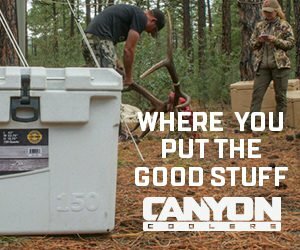 Your feet are your wheels back there and it doesn’t do any good to have the latest bow or the newest backpack if your feet can’t get you to the animals. They are also one of the toughest pieces of gear to find for yourself given everyone’s foot profiles are different and flex preferences vary. 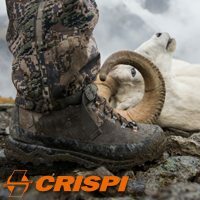 Crispi USA is one of the first places I look when I’m in need of quality boots. The last few years I’ve been trying to find what I consider a spring bear and elk hunting boot with not much luck. The boot needed to have a fairly stiff flex, a small amount of insulation for chilly mornings and preferably a mountaineering style fit which is narrow. 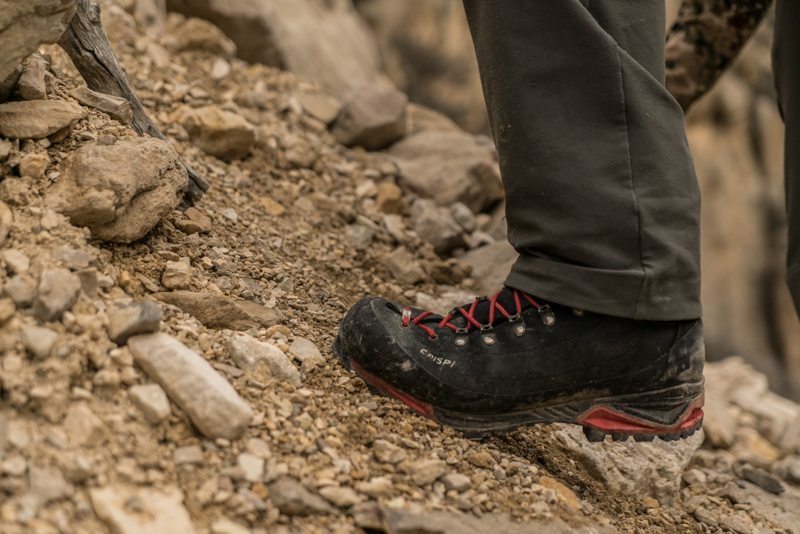 I was about to pick up a pair of the Crispi Thor boots reviewed here by Tony Trietch when I came across the Crispi Briksdal GTX boots on their website. Looking to be exactly what I’d been looking for I finally got to try a pair on at the Sheep Show in Reno and decided to give them a run. The Briksdal’s were first released last year in their GTX 4 flex model that is black in color with red accents. However, they are switching things up for 2018 with a noteworthy change and an addition. 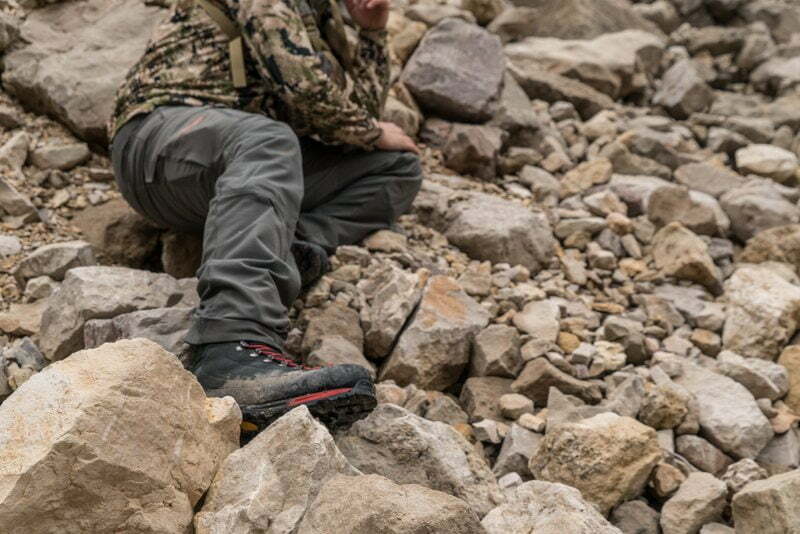 This year they are adding a second Briksdal boot to the line called the GTX SF (stiff flex) that will be rated as a 5 flex on their scale and will come in the color black with orange accents. The new GTX boot will still come in the 4 flex, but will now be brown in color. I tested the 2017 version of the boots in black and red, but my review will equal the 2018 GTX boot in brown. The Briksdal’s feature 200 grams of Gore-Tex insulation, Crispi’s ABSS (ankle bone support system), Crispi designed Vibram sole, a full rubber rand, asymmetrical lacing and a 9” top. The 200 grams of insulation really helps out while walking in snow and during the chilly mornings and evenings being stationary. Last year I wore my first Crispi boots with the ABSS and it definitely made a difference for me. I rolled my ankle really bad about four years ago and ever since I’ve had troubles with it tweaking in steep terrain. The ankle bone support system forms around your ankle every time you slip the boot on and prevents the top of the boot from trying to roll. The 4 flex rating was something I was very happy to find. 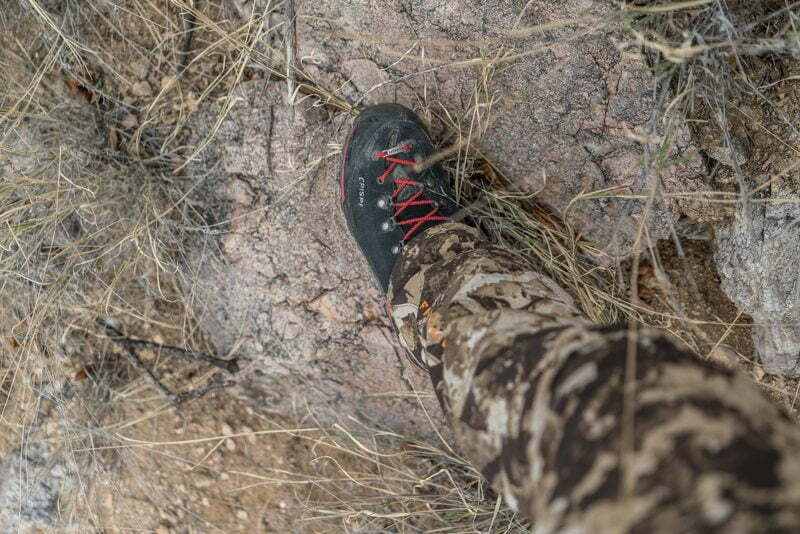 My other summer backpacking boots are extremely stiff (equal to a 5 flex) and while I prefer those in the rugged high country, I find them to be slightly loud and more rigid than I need for archery elk hunting. 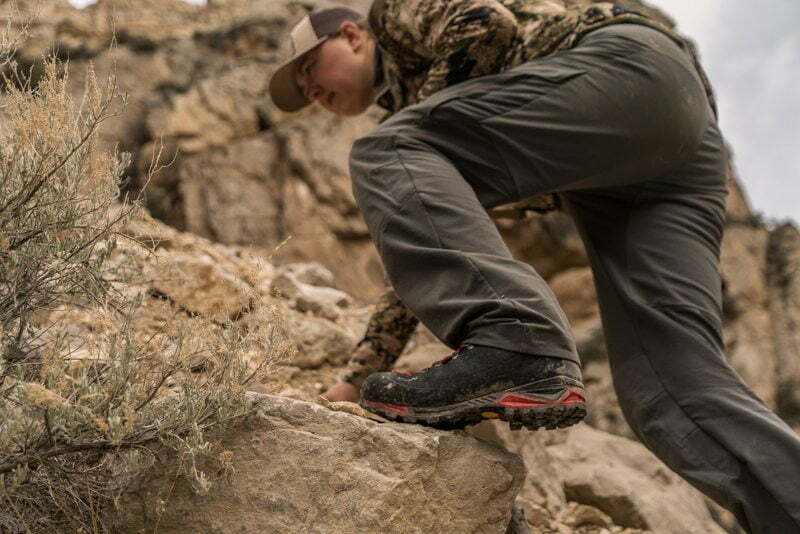 The Briksdal boot is also torsionally rigid, which I’ve found is important for steps in uneven terrain and has helped my bad ankle from getting tweaked. When I got them I first swapped the Crispi insoles out for my preferred Super Feet model and hit the trail with a pack on. The lacing setup features a lace lock and is my favorite out of any boots that I have worn. Once you get the lacing around your foot snug, the lace lock eyelets trap the lace so the portion around your foot cannot lose tension. The lace lock also helps secure your heel in place. Then you continue lacing the upper portion of the boot that doesn’t need to be as tight. One of the first things I noticed on the trail was the generous rocker they have towards the toe that helps propel you forward. I think adequate rocker is important for keeping the noise down while walking in a stiff boot like these. 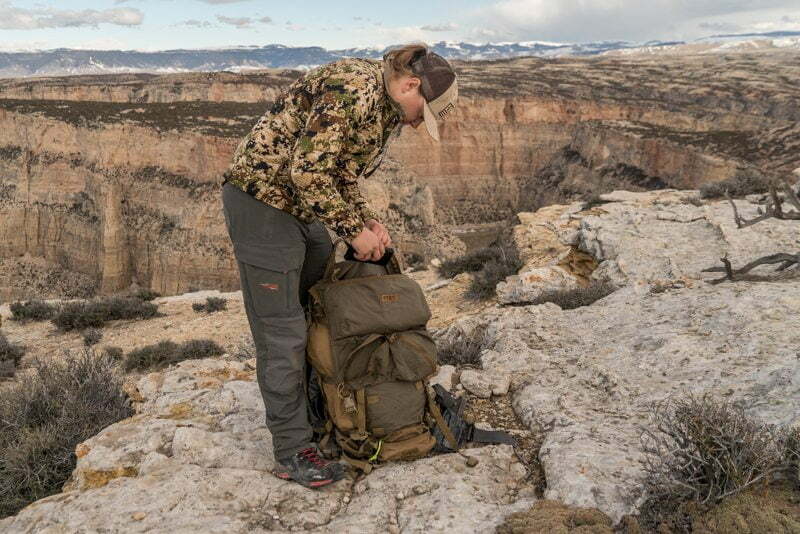 After a couple weeks of hitting the mountain in Wyoming, it was time to take the boots on a sheep hunt in Mexico. Temperatures would be low 70’s as a high and I thought the heat would be a great test for the breathability of the boots. I wore a lightweight pair of merino wool socks and we trekked about eight miles the first day through loose rock, uneven ground, and steep hillsides. The insulation never presented an issue and breathed well. While my socks were damp when I pulled the boots off I wouldn’t consider them wet and I didn’t have any signs of hot spots starting throughout the day. Since that sheep hunt, I have been back in Wyoming doing hikes and backpack cardio. I have had the boots in wet snow multiple times and also stood in a creek for a while with no leaking issues. The boot construction is still in great shape with no major wear areas and the rand is still fully intact to the boot. The lowest temperatures I have been in with the boot is mid 20’s, and while I wasn’t static for any amount of time, the light insulation makes a positive difference in the cooler temperatures and in the cold snow. I’ve been really happy with these boots and I don’t plan on swapping them out anytime soon. As with every boot on the market, what fits me may not fit you, so finding a place to try on as many as you can is the best way to find what you prefer. Per the Crispi return policy, be sure to try the boots on indoors and leave the tags on until you decide they fit and you like them. Once the tags have been removed and the boots are worn outside, you will not be able to return them. Be looking for the release of the new 2018 Crispi Briksdal GTX and Briksdal GTX SF soon on the Crispi website!